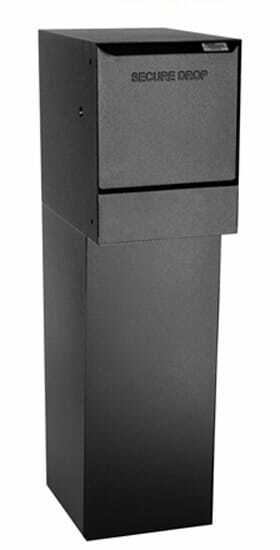 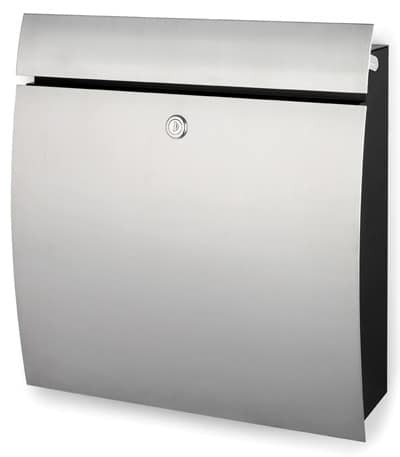 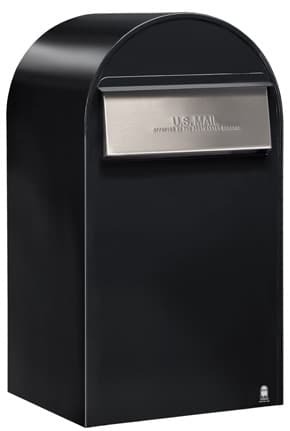 Streetscape Gateway Recessed Wall Mount Mailbox recesses into a column, wall or pilaster. 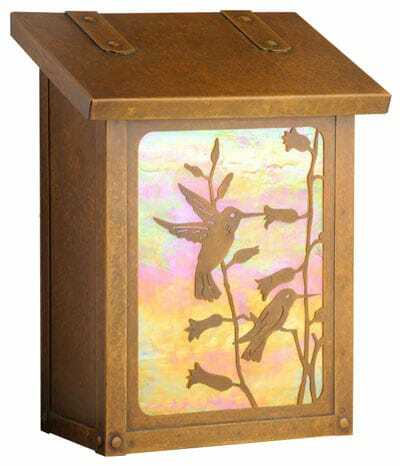 Made in the USA, each piece is hand cut and spot welded for strength. 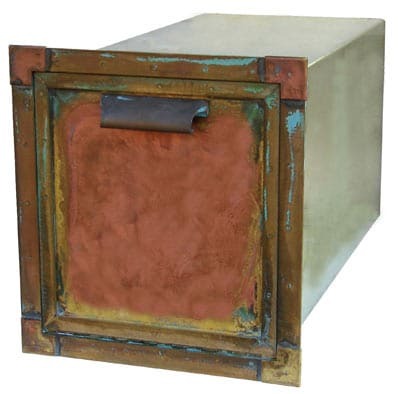 Finish can have red, yellow, brown tones with blue-green highlights. 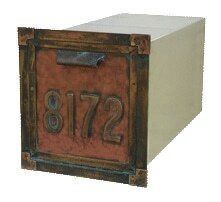 You can choose to have corresponding brass address numbers added to your wall mount mailbox. 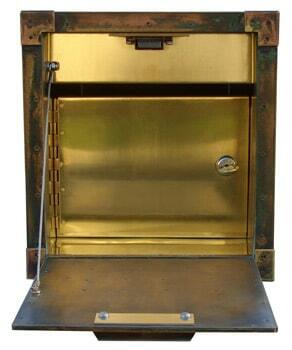 Mailbox Faceplate 10.25" 9.5" 17.5"
Rough Opening 9" 8.25" 17.75"
Slot On Locking Version 1.75" 8"